Dr. Jack Stockwell - Do You Need Your Thyroid? 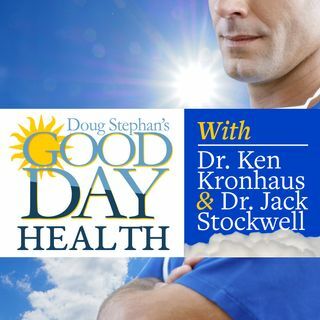 Host Doug Stephan and Dr. Jack Stockwell www.forbiddendoctor.com discuss the dangers of combining cleaning products and children, how your gums affect your health and everything you need to know about your Thyroid. Also, they revisit Lo Dose Aspirin. Is it beneficial or not? Plus, lots more information about maintaining your Good Health.